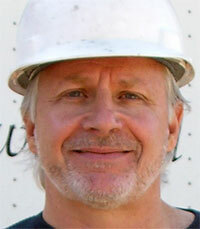 Mark Meshulam is an expert witness and consultant for wood windows and wood window leaks. [audio:http://chicagowindowexpert.com/audio/woodwindowleak.mp3|autostart=yes]Ironically, even though I dwell much more often in the valley of aluminum windows when providing them, I seem to get more calls for consulting on problems with wood windows. Wood can rot, so a failure can be much more dramatic. The wood windows, in general, tend to be a residential product and are not subjected to the level of performance testing that is normal for commercial aluminum windows. So, having made the up-front observation that comparing wood windows with aluminum windows is like comparing apples with chickens, we can go forward confident that disclaimers have been duly registered. When I refer to wood windows, I am encompassing two similar-but-different product types. There are some windows which are made completely of wood. They must be painted and maintained on the exterior. Then there are wood clad windows which are clad with a more durable material on the exterior that doesn’t need painting. Well-known names such as Pella, Marvin, Hurd and Weathershield use aluminum cladding on the exterior. The giant Anderson Window uses a vinyl cladding. Next disclaimer: All of these great companies have achieved a strong level of success and growth by providing the right product to the right market. I know of no inherent or ongoing problems with any of these manufacturers. 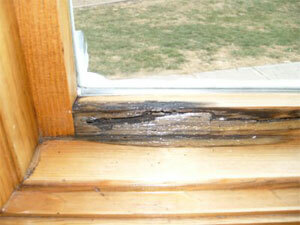 I will speak only of problems I have personally experienced in the field with windows in the wood window category. Lawyers, are you happy now? Rotting wood. This is a symptom, not a cause. The most common cause of rotting wood is entrapped water. 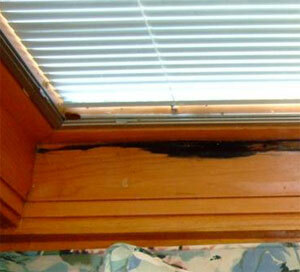 Wood damage or leaks due to water entrapped between glass edge and frame. Unless the glazing sealant system (the sealant between the glass and the frame), water can penetrate thate space. 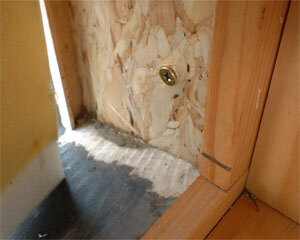 If the water has no way to get out, it can and will degrade the frame. If you see this in the early stages, try to address it fast. I have seen wood turn to black mush when exposed to this type of long term exposure. Weaknesses in Waterproofing Although the wood in wood windows is usually coated in a waterproofing, the quality of these coatings varies widely by manufacturer. The highest level of waterproofing for wood is when the waterproofing material is impregnated into the pores of the wood in an autoclave (“vacuum chamber”) after it has been cut and milled to its final shape on all sides and ends. This allows a good coating at the most vulnerable area, the end-grain. End-grain is like a thousand capillary tubes bundled together – it must be protected. Wood damage or leaks at frame joints Whenever you try to join two pieces of material, you need a good, positive way to seal between those objects. 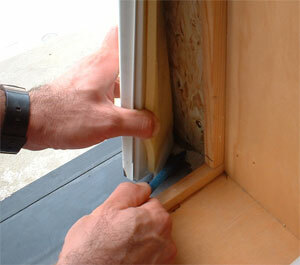 Consider the joint between a wood sash (the sash is the operable part) jamb and sill. These can be joined using miters (45 degree diagonal cuts) or mortise-and-tenon joinery (interlocking “fingers”). Each member has the ability to shrink and grow in thickness in response to humidity changes. The joint itself is subjected to more dynamic loads when it is operated. The water repellant might even resist sealant adhesion. In short, there is an awful lot happening at that corner, and so, things can go wrong. 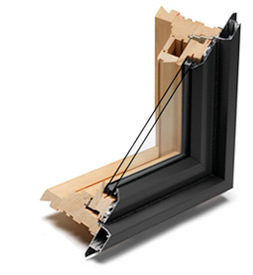 Most wood window systems have a line of accessories which are used to join separate window frames together. The aluminum clad wood window products usually have a selection of extendors and U-channels made from extruded aluminum for this purpose. The vinyl-clad products usually use vinyl accessories. Now we must think through the sealant continuity when these additional objects are added to the mix. 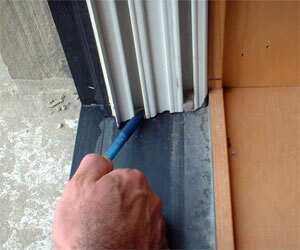 Of particular concern is metal-to-metal joinery without accompanying sealant. The inexperienced installer might think he just has to snap on the trim and walk away. No! If he snaps something on the exterior without sealing it, leaks are a sure thing. If he uses sealant, but it is not married to perimeter sealant, it will probably leak. Very few window manufacturers, whether wood, aluminum or vinyl provide sufficiently detailed instructions for installers. Better instructions would help everyone, the manufacturers, the installers and the end-users.